Media frenzy……….. | Which me am I today? Yesterday the news was announced that Babs Windsor had been diagnosed with Alzheimers 4 years ago by her hubby Scott. It’s always sad when anyone gets diagnosed but someone in the media eye always brings it to the forefront in the publics eye too. It immediately shows how dementia discriminates against no-one. Well, suddenly the media grabbed hold of the story and by midday all cogs were in overdrive and I had an email from my publicist first, as BBC Breakfast had contacted them asking if I’d go on Fridays programme to take part in a discussion. The amount of emails that then flew backwards and forwards appeared to be going at the speed of light……..
I’d already said ‘yes’ to 2 extracts from my book going in one newspaper and then another article or letter…..can’t remember now!, going in another…. Ooooooo I digress again……..anyway, the emails back and forth continued but I just watched and waited………The Producer then asked to Facetime me……that usually means they want to check I can still coherently speak. 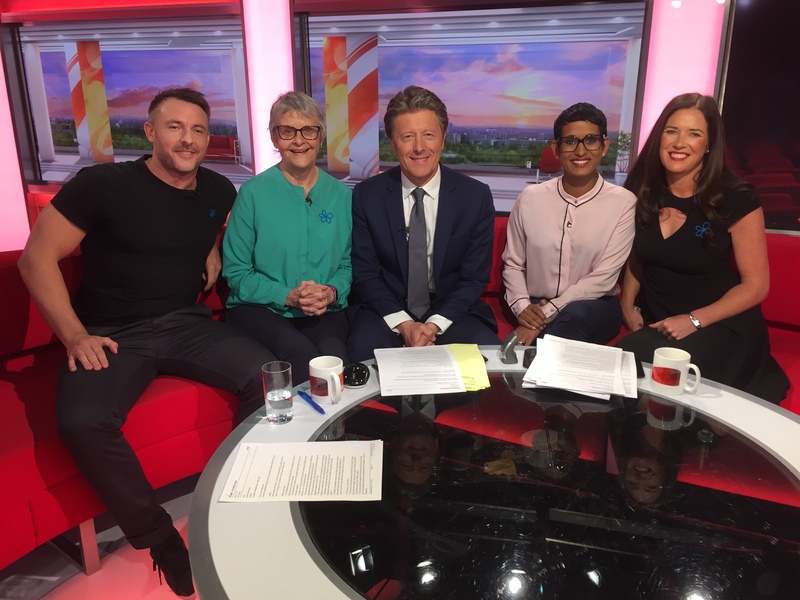 I duly had a chat with the lovely Katie and we got on like a house on fire……We did the usual ‘research chat’ and I must have passed………Katherine Smith from the Alzheimers Society was also going to be on the programme along with a supporter. There was talk of a car picking me up before they picked Katherine up in the morning but the stress of that didn’t appeal as I know the M62 traffic jams too well from my old life…….so Katie agreed to book my tickets and a room in the Media City hotel. Katie would keep in touch en route and let me have the details of the car that was picking me up in Manchester and told me where I was staying for the night. The plan was for a driver to meet me outside Sainsbury’s at Manchester Piccadilly – perfect – and he was there waiting and drove me to the Hotel at media city, where the receptionist promptly told me there was no room in my name😳…..I showed her the email that said I had😳……and she got me a cuppa tea while they sorted it…….and sort they immediately did……AND someone came up to my room with the and showed me how to use everything⭐⭐⭐⭐. By this time it was way past my snuggle time and I was verrrrry tired 😴😴😴😴, sooooo glad to climb into a bed with a cuppa……. ‘Lipstick’……no thanks just powder……’blusher?’…..no thanks, just powder……..’Just Powder?’……….yeeeh! 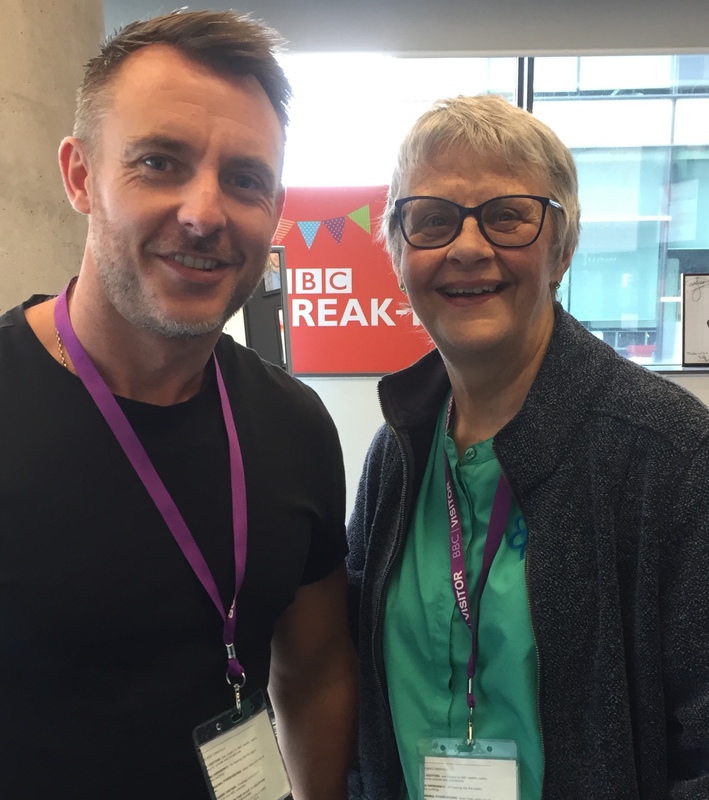 It was a lovely surprise when Simon, son of SongaMinute Man walked into the Green room….and we had a lovely conversation about Coronation Street! We then went through towards the studio to have the mics sorted and before we knew it we were being taken on set and Naga welcomed me like an old friend as did Charlie, which made my day…..They were soooo nice, as always. We spoke of the need to talk about dementia and with Dementia Action week coming up, it put dementia, once again, into the spotlight……..The interview with us all was off the back of yesterdays revelation that Barbara Windsor had been diagnosed 4 years ago. Obviously I could type while on set so don’t know what I said but it seemed to go down very well……..but it was all over far too quickly again………just time for a piccie….. 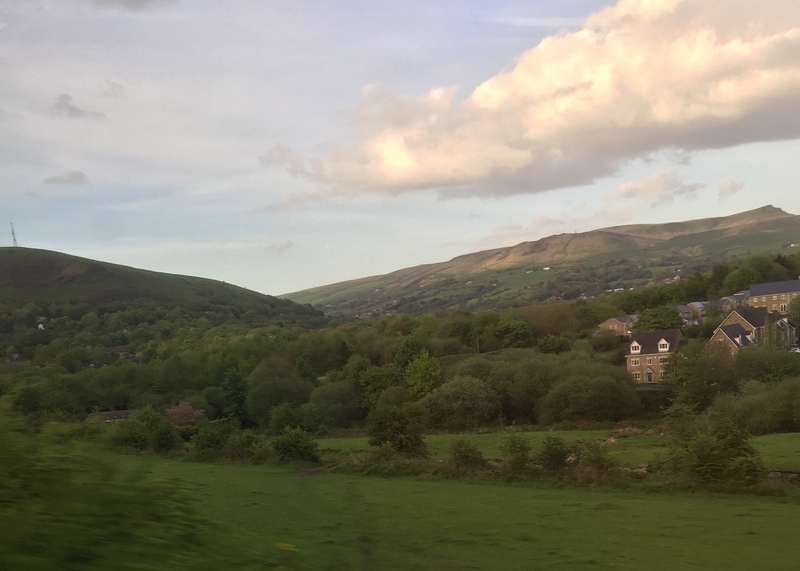 The cars were waiting for us all and mine took me back to Manchester Piccadilly……..a case of ‘The calm after the storm’……….looking forward to chilling over the weekend now. Wow! You are sooo busy! I am glad you are such a human dynamo!…You bring adventures and laughter to us too! Helen Stewart(wife of Jackie Stewart who was a Formula 1 racing driver)also has alzheime’rs and he set up a website to raise awareness of it.You’ll be very busy as the alzheimer’s “spokesperson”for the next few weeks until the initial interest fades! Just finished your book, Wendy and am moved beyond words. My beloved mum was set free from vascular dementia three years ago and I know without a doubt the value of love – from Mum to us and from us to Mum. When times were tough she could always distinguish her family from carers and knew we were hers even when she could not vocalise it. I’m not particularly religious but 1 Corinthians 13: 13 has it exactly right… And now these three remain: faith, hope and love. But the greatest of these is love. Take care. Wow Wendy, I don’t know how you do it, I’m exhausted just reading your busy blog 🙂 Fantastic though that you can share your valuable experiences and hopefully help others who are also living with the condition. Good Luck on your adventures but make sure you rest up in between with a Cuppa.